By 1898, the US had expanded as far as it could within the continent of North America. The “Indian Wars” were over (the last major “battle”–the massacre at Wounded Knee–was in 1890), and the US had taken everything that was not already part of Canada or Mexico (indeed, in 1848 the US had taken literally half of Mexico). If the US was to continue its relentless expansion, it would have to look overseas. And the aging Spanish Empire made a very tempting target . . . 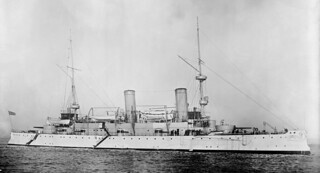 The USS Olympia as she appeared in 1898. Florida is the land of invasive species. Because of our status as a center for the importing of exotic pets and houseplants from overseas, and our neo-tropical climate, we have been invaded by everything from kudzu plants to Burmese pythons. The most common of our invaders is the Brown Anole Lizard. Every tourist has seen this ubiquitous little lizard running along sidewalks, tree trunks, or fences, conspicuously bobbing their heads and displaying their brightly-colored extendable throat fan at each other. 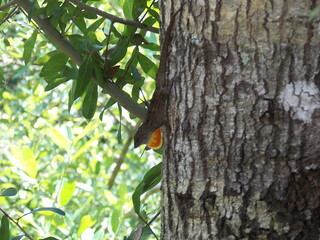 Male Brown Anole displaying his dewlap on a tree trunk. Everyone knows that Amelia Earhart (and her navigator Fred Noonan) disappeared over the Pacific in 1937, while attempting to become the first woman to fly around the world. 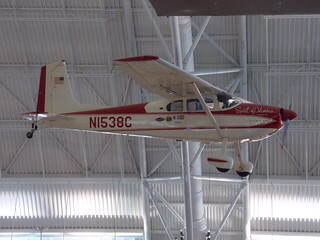 But few know who actually WAS the first woman to fly around the world (and she did it solo) . . . 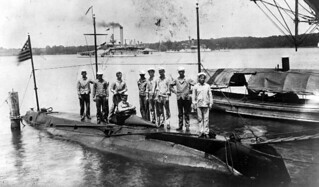 When war broke out in 1914, the British Navy was the largest and most powerful in the world, and the German High Seas Fleet stood little chance against it. It was, however, at sea that Britain was the most vulnerable—as an island, the British had to import nearly everything they used, and the majority of their supplies came across the Atlantic from the US. A successful campaign against British merchant shipping, therefore, would choke off Britain’s vital supplies and starve her into submission. But with the German fleet unable to stand in an open fight with the Royal Navy, the Germans could see no good way to successfully attack British shipping. Their answer came from an unexpected source. 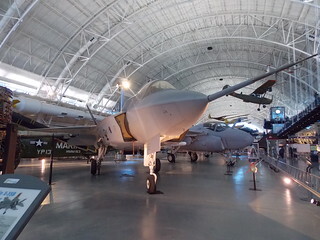 While I was looking at the F-35 Lightning II Joint Strike Fighter on display at the Smithsonian’s Udvar-Hazy Center, I must confess to mixed feelings. On the one hand, the F-35 is an aesthetically wonderful aircraft–one cannot help but admire its long sleek lines and its graceful stealthy curves–and it represents some of the most advanced technology in the world. As a matter of history, it may also represent the last major manned military fighter ever to be designed. On the other hand, the F-35 has the dubious honor of being the most expensive military project ever undertaken by humans, and can only be viewed as a seemingly bottomless money pit. The F-35 Lightning II Joint Strike Fighter, on display at the Smithsonian’s Udvar-Hazy Center. This is the Marines short-takeoff vertical-landing “B” version. She is not glamorous to look at–just a big boxy grey ship with cranes sticking out everywhere. But the USS American Victory, and her 500 sister ships, were absolutely vital to winning the Second World War. 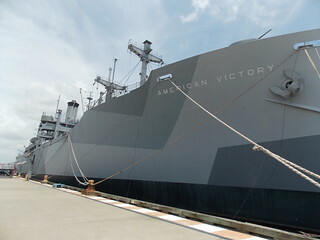 The SS American Victory, docked in Tampa Bay as a floating museum. 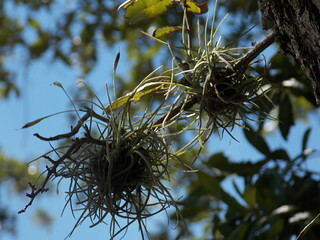 The Tillandsia are odd little plants. They have no stems, they have no roots, and their leaves don’t look anything at all like leaves. Oh, and they require no soil at all, either, and don’t live in the ground. And they are related to . . . pineapples. Tillandsia air plants. The clublike growths are the seedpods.